Stone Hill Fiduciary Management protects plan sponsor boards, corporate officers, and other plan fiduciaries from an increasingly active and ERISA-sophisticated class action bar. The financial exposure for class action lawsuits brought on behalf of plan participants is significant. By permitting Stone Hill Fiduciary Management to organize fiduciary operations and governance, the potential liability from these lawsuits can be significantly reduced. Members of boards are often named as individual defendants even though these directors were not personally involved in the decisions or actions that led to plan participant losses. We create a reporting and supervising system to facilitate monitoring by the board or other body ultimately responsible for proper plan management. Stone Hill Fiduciary Management helps plan sponsors avoid ERISA violations, monetary sanctions, and civil liability for corporate directors who fail to establish procedures for monitoring operational compliance. The courts have confiscated the retirement plan accounts of plan fiduciaries to make up for the losses incurred by plaintiffs who successfully sue plan fiduciaries for losses resulting from a breach of fiduciary duty. Stone Hill Fiduciary Management certifies annually to the board of directors that the fiduciary duties of the retirement plan committee, appointed by the board, have been properly carried out by the committee. This annual certification demonstrates that the board has monitored the fiduciary compliance and governance activities of the retirement plan committee. Stone Hill Fiduciary Management’s certification speaks to investment policy statement compliance, investment performance monitoring, service provider due diligence, fee reasonableness, participant communication accuracy, plan document sufficiency, and operational compliance. Our complete fiduciary governance approach to retirement plan sponsorship significantly reduces fiduciary liability and litigation risk for boards of directors and retirement plan committees. Most firms providing retirement plan administration services do not guarantee the completeness or accuracy of their services. They simply process the information you provide to them. Most employers do not have internal controls in place to ensure operational compliance. ERISA, however, requires plans to be in operational compliance with plan document terms. Consequences of noncompliance consume company staff time, increase legal costs, and expose plan sponsors to liability and monetary sanctions. 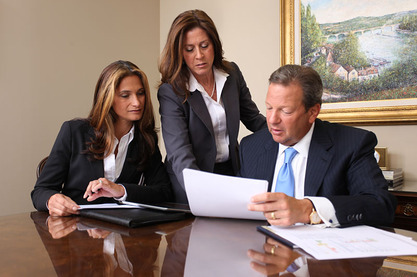 Stone Hill Fiduciary Management is your true fiduciary partner. Our annual certification process provides the monitoring and documentation procedures necessary to ensure a best practices standard of fiduciary governance. The very presence of certification documentation ensures the quality of fiduciary decisions and reduces litigation risk.